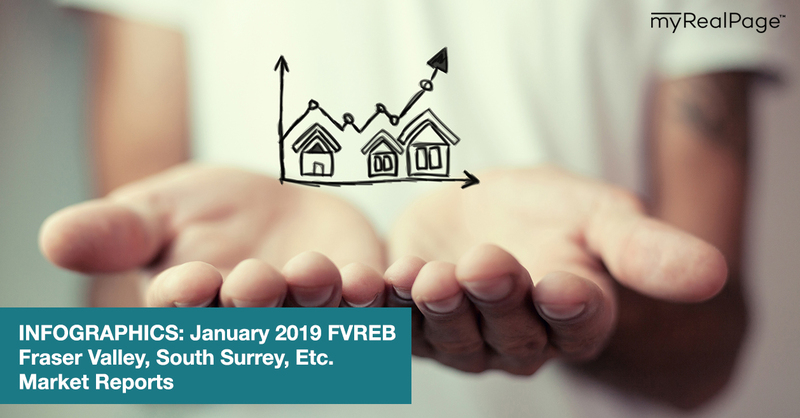 Welcome to February, and here are the January 2019 market updates for areas covered by the Fraser Valley Real Estate Board (FVREB)! According to their latest market update, overall inventory levels continued to recover as market activity remained moderate through January. 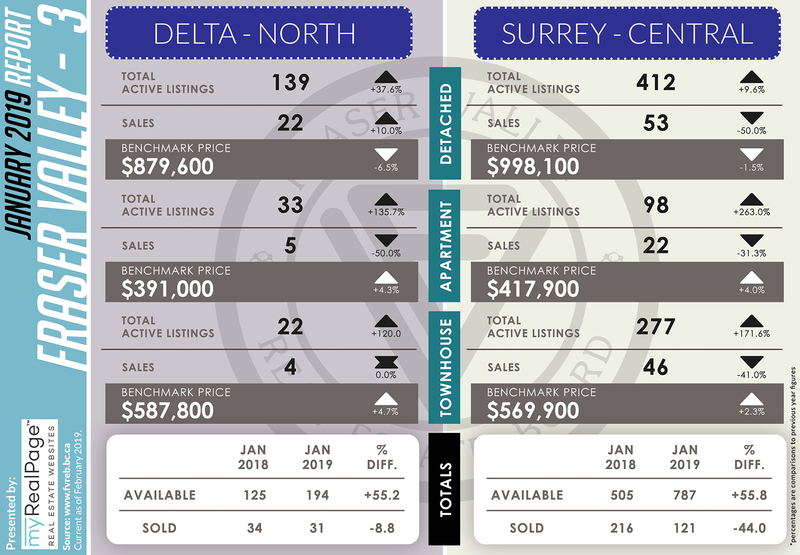 The following data is a comparison between January 2018 and January 2019 numbers, and is current as of February 2019. 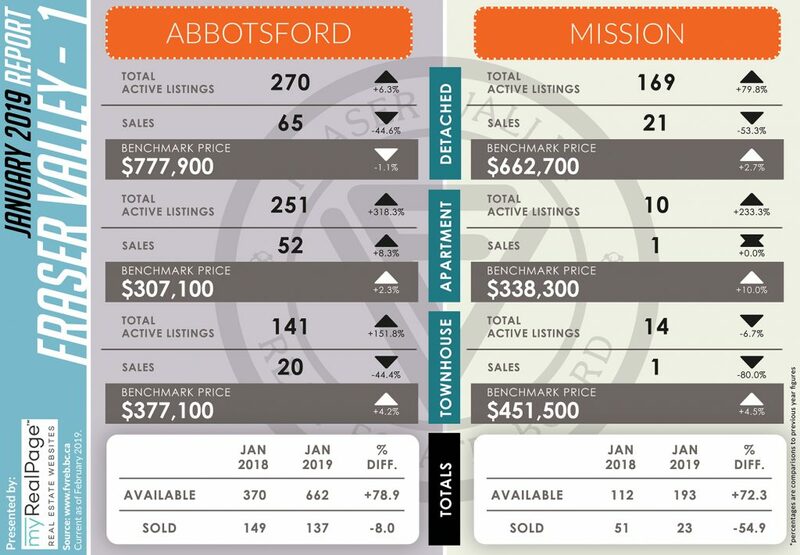 For last month’s report, check out our previous infographic!